US President Donald Trump had announced his South Asia Policy in August 2017, criticising Pakistan for providing safe havens to terror groups carrying out attacks in Afghanistan. 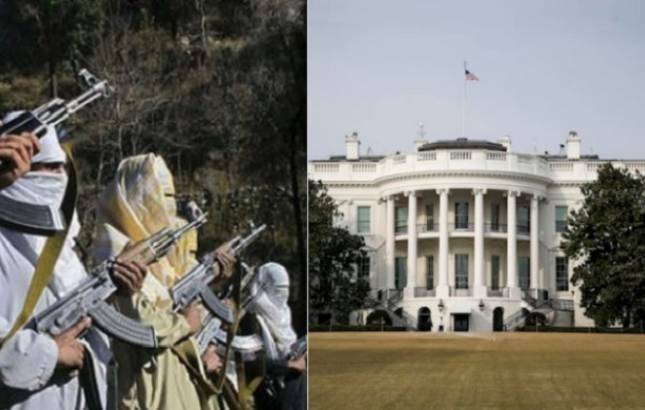 Pakistan has failed to take decisive actions against terror groups as sought by the Trump administration, the White House said on Friday, and warned Islamabad that the US is prepared to take actions on its own to safeguard its personnel in Afghanistan. “Six months after the announcement of the South Asia Policy by President Donald Trump, Pakistan has failed to take the kind of decisive actions that the US is seeking,” a senior administration official told reporters. Noting that the US want to see actions against terrorist, the official said, the Trump administration was “prepared to take steps which we feel are necessary to safeguard our personal” in Afghanistan. Citing some of the recent high-profile attacks in Kabul by terrorists from across the border, the official said, “It’s Pakistan choice on which direction it wants to take the future of the relationship and added that the US was still engaging Pakistani leaders. “The US is interested in addressing some of the Pakistani concerns, but the ball lies in Islamabad’s court,” the official said. Responding to a series of questions, the official, however, did not give any indication on the kind of actions the US was contemplating against Pakistan, given its frustration for them not taking action against terrorist groups. The Trump Administration, for the first time, has really restored clarity to the US-Pakistan relationship. “We are truly holding Pakistan accountable for its actions,” the official said, adding the President has made it clear that he is not satisfied with the action taken by Islamabad. “We have communicated clear to Pakistan to what we mean by decisive action,” the official said, without giving details about the kind of action the US wants to see from Islamabad except for saying that it wants complete elimination of terrorist safe havens from within its territory. Pakistanis have wanted to be responsive to the US request, but they “have done bare minimum”, the senior administration official said. The US continues to send specific request for actions against terrorist groups, the official added. “When provided very specific information, they (Pakistanis) have responded. But we have not seen them taking pro-active actions against terrorist groups. (we believe that) They are very capable (in taking those steps),” the official said. On questions about the deadline, the official said the US is in discussion with Pakistan. “We do not talk in terms of deadlines”. However, Pakistan understand that the way the America appropriations are set up and there are deadlines with regard to assistance. These Congressional deadlines will sometime kick in, the official added. “We need to sustain the pressure. Any sense that pressure is being relieved, we definitely would not see the objective that we want to see. We intend to continue the pressure and at the same time indicate that there is a way forward. It is good for Pakistan to cooperate with the US on Afghanistan,” the official said. The US also wants Pakistan to take action against Pakistan-based terrorist groups that target India like Lashkar-e-Taiba and Jaish-e-Mohammed (JeM). “We believe that the release of Hafeez Saeed in November was a step in the wrong direction,” the officials said ruing that Pakistan has not taken sufficient steps with regard to curbing finances of terrorism. The official also said Pakistan has been taking “bare minimum” actions against terrorists on the US’ request. “We expected that this would be difficult for Pakistan. We expected that it would take some time for Pakistan to break those relationship between intelligence services and the militants. So far, we have seen them taking bare minimum steps that we are requesting, the official pointed out in response to another question.